The Glen Echo RG-2125 is a lightweight, breathable microfiber rain jacket. 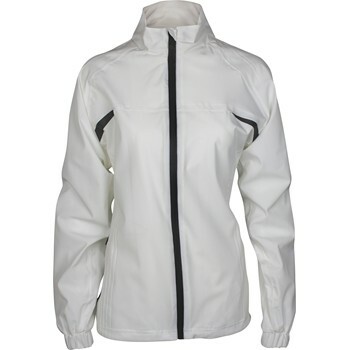 It features a stand up collar with enclosed zipper for improved weather protection. Adjustable waist and cuffs with an adjustable strap give it a comfortable fit, while the soft mesh lining accentuates breathability and the ventilated back regulates temperature. The shoulders feature a gel print that provides improved grip for a better carry. This rain jacket is just as good as a better know brand at $200 less!